For this project for X Box, The glacier was built about 2 feet tall. 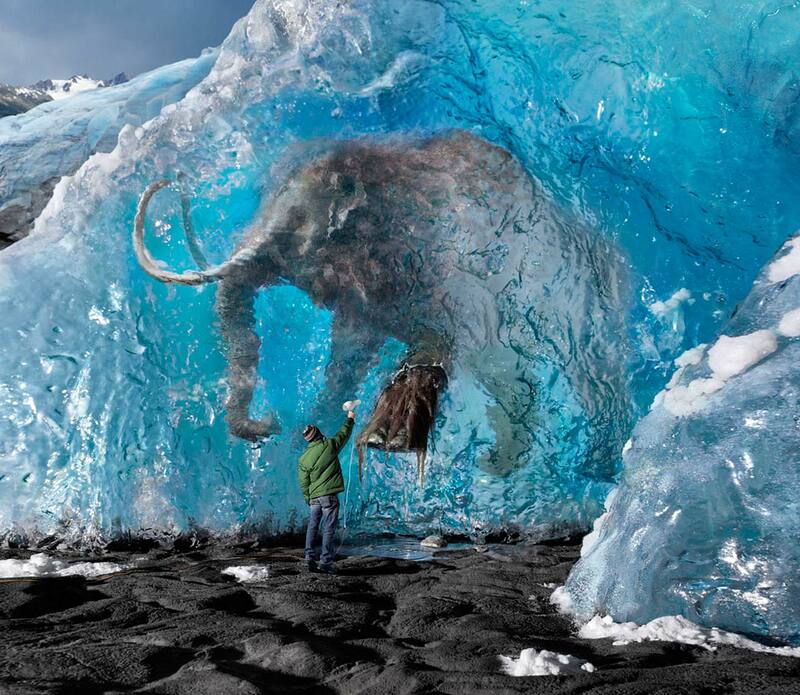 The foot of the mastadon was built right into the glacier. The mastadon was shot separately, through rippled glass, then composited back into the glacier.The background glacier I shot in Alaska.